What does it mean to get better quality house painting? For Star Painting LLC’s house painters, it’s not just the paint itself. 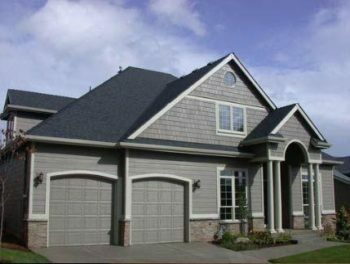 It’s a collaborative effort between the client, the company that provides it, and the house painters in Salem, OR who apply it. When you work with us, expect paint imperfections not just to be fixed, but prevented. Our house painters are professionals in their field who are continually building on their skills and experience. Without our client’s input, we run the risk of not meeting their expectations. That’s why we take the time up front to consult with them about their needs and to help them fill in the gaps. If our painters have a clear understanding of a project before the rollers even hit the paint, then we avoid budget and scheduling setbacks altogether. Not sure if we do the kind of home painting you’re looking for? 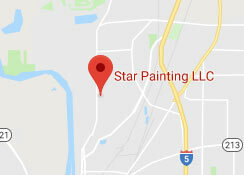 Star Painting LLC is an employee-based company where quality is built-in. We focus on taking care of our employees and they, in turn, take care of our clients. Whether you’re in need of large or small scale exterior or interior paint, we manage each project professionally so you can count on superior results. Not all house painters think about protecting their client’s belongings from overspray and paint drips. They also don’t take the time to remove things like light fixtures and electrical panels prior to painting. At Star Painting, we believe these details are just as important as using the right colors in the right places. There’s an inherent advantage to choosing Star Painting for your next house painting project. Our services are all under one roof. For our clients, that means not having to make multiple trips to paint suppliers, home improvement stores, hardware stores, and design centers. By offering everything, our clients have the freedom to choose how involved they are. Some come with designs and colors in-hand, others come with no ideas at all – just an urgent need for an upgrade. Talk to us about how we can help you bring lasting color to your home. 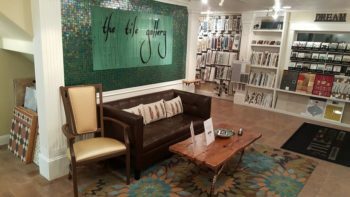 Our showroom includes hundreds of swatches and inspiration photos to browse through as well as assistants who can help guide you through the process. Whatever your painting needs are, we look forward to working with you!